Sailing instruction and coaching, so sailors can learn in a safe, fun and high-quality environment. Certified race officials, judges and umpires insure you race by the rules. Fair ratings for measurement rules performance services foster fairness. Programs that connect the disabled, disadvantaged youth and wounded veterans to sailing. 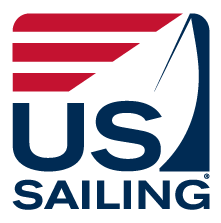 Junior Olympic programs that allow young sailors to develop their skills, test themselves against good sailors, and have fun. Racing and cruising safety standards through research, education and Safety at Sea Seminars. Representation of sailors interests on national issues including water access, the environment and safety.